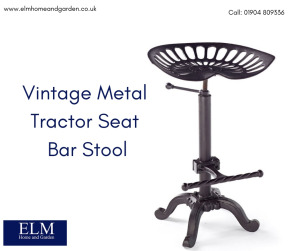 Buy the best tractor seat stool at Elm Home and Garden. This stools made with cast and Iron Vintage Tractor Style Seat Adjustable Kitchen brown. These stools are magnificent and the seat is very comfortable and also looks great in appearance.